This publication is not about giving the dog a back name to hang it. It is not about fabricating any lies to tarnish the reputation of the Ghana police force but to state the truth and the facts as are prevalent on the ground. 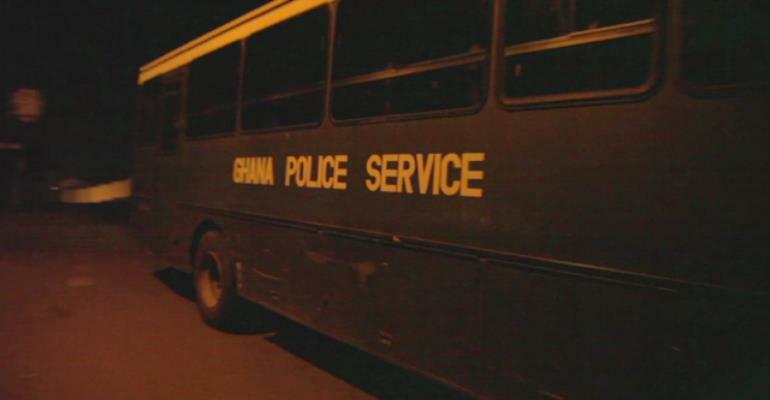 I have personally on a number of occasions had run-ins with some police personnel when I proceed to Ghana on holiday. I cannot close my eyes to their irresponsible and unprofessional fondness for taking bribes and stupidly threatening drivers with all silly allegations in their quest to compel them to offer them bribes. I quite remember engaging in a heated argument with one Police Inspector Sakyi at the Kumawu Police Station about ten years ago. It all came about as a result of someone’s farm found burning and my brother-in-law accused of setting the farm ablaze. Two persons going to their farm met this brother-in-law of mine returning home from his farm, carrying on his head some farm produce. They met him almost half-way through on the path to where the farms are. They did neither meet him in the burning farm nor see him set fire to the farm. However, they reported to the farm owner that he was the one they met on the way when they were going to their farm. Subsequently, the farm owner reported him to the police and he got arrested. For about two months, he was reporting himself to the police on daily basis. When I went on holiday and was told what was happening, I accompanied him to the police station and enquired about what was actually going on. I requested the police to invite both the witnesses and the farm owner to the police station as I needed to meet them for more credible information to determine that actually, my brother-in-law was the culprit as alleged. The police invited them on two occasions but neither of them turned up. The police further told me they had arranged the Fire Service personnel to the farm to establish how the fire started, who started the fire etc. but for about three weeks, they had not submitted their report on their findings to the police. My argument then was, if the witnesses did not see or find my brother-in-law in the farm, did not see him set the farm ablaze, did not find him with anything in hand that could cause fire when they met him on his way home, how could they conclude that he set the farm on fire? Again, ever since the farm owner and the witnesses caused his arrest, why have they not been honouring the invitations to them by the police to come to the police station for further action to be taken against the suspect? Why have the police not charged the suspect to court and how long was it going to take them to indict or arraign him? Did the witnesses meeting him on their way to their farm be sufficient circumstantial evidence to indict him? Are there no other paths (routes) to and from the farm? In a nutshell, my explosion was such that it took the District Police Commander to calm both of us down including the other police officers at the station. I could not withstand their unethical behaviour which when read deeper into, amounted to expecting my brother-in-law to offer them bribe to drop the case. However, I would not go down that extortionist path or have nothing of the sort. This is just by the way. Going forward, the open forcible acceptance of bribe by the police on Ghana roads is not only unprofessional but criminal. How dare a law enforcement agent turn around to breach the very law he/she is to protect by openly taking bribe as though, it is their right? Are they not paid by the government for protecting life, protecting property and preventing crimes? If these are their basic duties, why should they be committing crimes themselves with impunity? Are some policemen not caught involved in armed robberies? What a shame! Finally, I call on The Director-General of the CID, Deputy Commissioner of Police (DCOP) Mrs Maame Yaa Tiwaah Addo-Danquah, to be wary of her actions. She was once accused by Kwame A-Plus of trying to persuade him to drop some corrupt allegations he was making against one or two members of the current NPP government. Again, she has made a contradictory statement about how a prime suspect in the murder of Ahmed Hussein-Suale of the Tiger Eye PI escaped from the grips of the police at the Kotobabi Police Station in Accra. She claims that the bystanders or members of the public in the area at the time assisted the suspect by collaboratively attacking the police to let him escape. Nevertheless, a principal witness’ account as heard on air on Oman FM yesterday evening, Tuesday, 2 April 2019, indicates that the police themselves let go the suspect. Is Mrs Maame Yaa Tiwaah Addo-Danquah helping the police to redeem their blemished image let alone, helping His Excellency Nana Addo Dankwa Akufo-Addo fight corruption in Ghana by her lies told to the public? The police are a disgrace to the nation by their despicable infatuation with taking bribes. The nation must rise up to fight that evil greedy urge within the police that compels them to accept bribe with glee. The Inspector General of Police, Mr David Asante-Apeatu, must have the balls to sack any police officer found accepting bribes. I have lodged a complaint with him online against the MTTU Police Officers on the Ejisu-Krapa-Kwamo stretch of road on the Accra-Kumasi highway. They are there only to take bribes from the drivers but nothing else. Until they have been removed from the area or have stopped taking bribes, I shall never rest but continue to wage a crusade for their removal from the area if not their expulsion from the police force. Maame Tiwaah, I hope you are not condoning and conniving with the suspect of Ahmed Hussein-Suale’s murder to escape arrest, prosecution and conviction to ensure justice for Ahmed and his bereaved family. Stay tuned for more info and shocking reports from my visit to Ghana.